DHS S&T announced Aug. 14 that it was awarding Metronome Software nearly $750,000 to strengthen the security of first responder sensor systems. 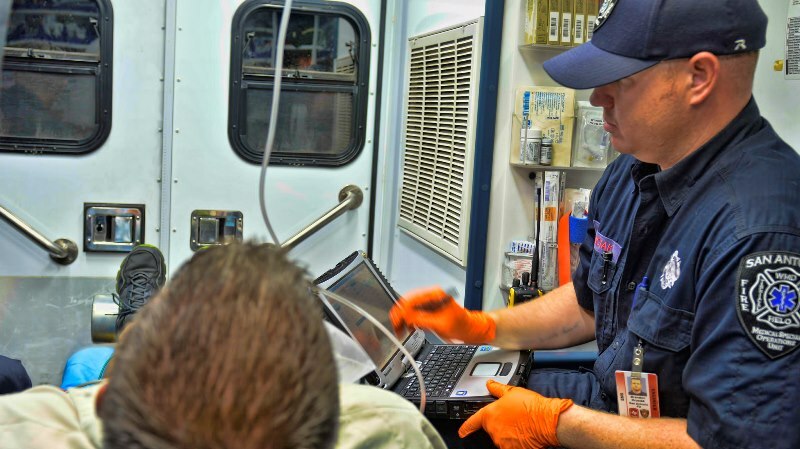 Metronome Software, a software research and development company focused on working for the U.S. government, is developing a technology to improve the security of first responders’ mobile device-based sensor systems. According to DHS S&T, this Small Business Innovation Research (SBIR) Other Agencies Technology Solutions award comes from a joint project of DHS S&T’s Mobile Security R&D program, administered by its Homeland Security Advanced Research Projects Agency Cyber Security Division, and the Next Generation First Responder (NGFR) Apex program, managed by S&T’s First Responder Group. With the goal of providing multilayer threat protection and immediate situational awareness to first responders, the NGFR Apex program is focused on integrating multithreat personal protective equipment, plug-and-play sensors and advanced communications devices to better assist during crisis situations. With this funding, Metronome is charged with developing a security overlay to ensure that the NGFR framework and its end-to-end infrastructure have a high level of security and data provenance. As part of the framework and end-to-end infrastructure, Metronome must secure NGFR’s back-end servers, intermediate data centers and their proxies, and individual first responder mobile devices. Metronome will partner with MobileIron, an enterprise mobility management provider, and Kryptowire, a mobile software assurance provider, on this project. Along with its partners, Metronome will improve its eCLOAK technology. Originally developed for the U.S. Air Force Research Laboratory, eCLOAK, according to Metronome, is a suite of client and server software that helps verify the health and functionality of mobile devices’ hardware and software applications through comprehensive attestation methods. The technology makes sure that only trustworthy processes are running on mobile endpoints. The improvements to eCLOAK will help create the SENsor Secure Enterprise Infrastructure (SENSEI) system, which will be integrated into the NGFR framework to enhance the system’s security and add enterprise-level management capabilities.